The single-speed has become the ubiquitous ‘cool bike’ for zipping around cities. Their light weight, simple construction, and minimalist drivetrain mean the single-speed bike lends itself perfectly to being a no-nonsense, low-maintenance, and utilitarian two-wheeled transport. Those same minimalist features mean that more often than not, single-speed bikes also come with sleek, clean lines that have popularised them among cycling’s ‘trendier’ (or more bearded) crowd. However, many people are put off considering single-speed bikes when things get hilly, despite the fact that they are as common in San Francisco as they are in somewhere flat like London or New York. With the right gearing, a single-speed bike could be your perfect companion for navigating Sheffield. More often than not, people confuse the humble free-wheeling single speed bike with a street faring track bike (where you can’t freewheel, and more often than not, use spin a pretty hefty gear – popular with cycle messengers in cities such as London). Rather than rocking something like Wiggins’ 58/14 hour record gearing up Fulwood Road, both Russell and I run far more sensible gears on our freewheel equipped single-speeds (42/16 and 46/18 respectively). This allows for nippy handling, a modest top speed, and the ability to climb most of what Sheffield has to offer. Of course, there will be people on their carbon road bikes and fully-geared steeds overtaking you on steep gradients, but you’ll be the one laughing come annual service time when you compare your receipts to theirs. 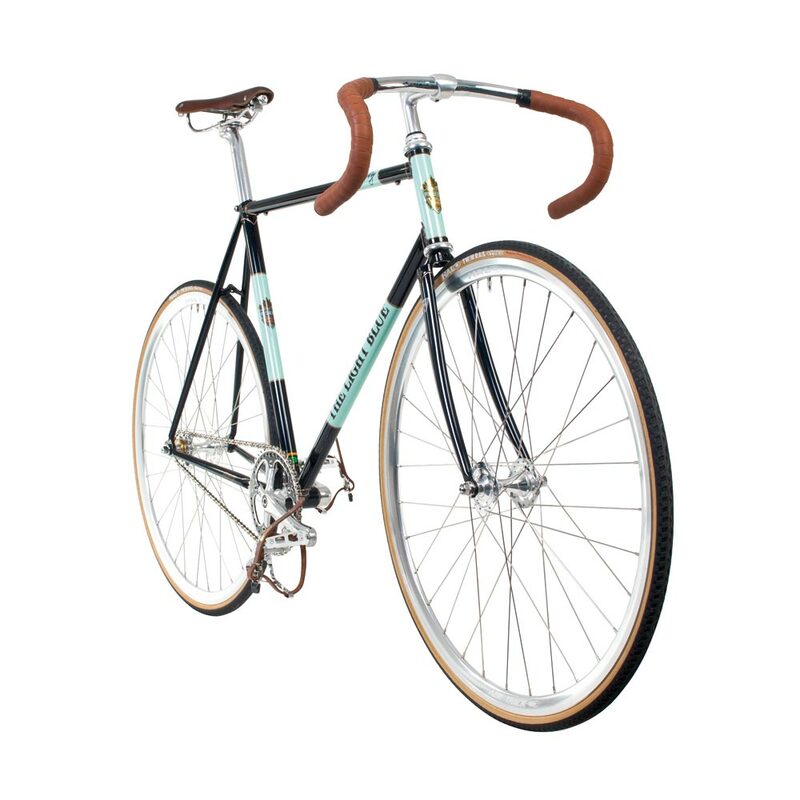 The beauty of the single-speed bike is in its simplicity. There is something incomparable in just swinging your leg over and riding. No worrying about selecting the right gear, about clunky shifting, or charging your Di2; instead, just turning your cranks and moving. It just so happens that this simplicity is reflected in the price too – both in initial cost and in components and repairs. When it comes to getting along with a single-speed bike, finding the right gearing is key. Thankfully, freewheels are cheap (our Dicta freewheels are just £10.00) which can allow you to find the ratio that works for you. Feel free to pop in for a chat and we can talk ratios, finding just the right gear for you to make the most out of your bike. If you’d like to try single-speed riding or fancy an upgrade, we can offer some absolutely stunning high quality builds, such as The Light Blue Trinity, which comes in an incredible chrome finish that needs to be seen to be believed. Alternatively, we can put together a bespoke build for you using one of All-City’s fantastic framesets. A stalwart brand in the single-speed world, All-City have frames for everything from steel city-going workhorses to single-speed off road stormers and even thoroughbred track-inspired rockets. If anything piques your interest, pay us a visit and we can discuss putting together your dream single-speed. Look out for the new 2017 Marin Nicasio that will be coming into the shop over the next few months. Its clean and simple but also gives you flexibility to change your setup to an internal hub gear if you decide you need a few more choices. One gear doesn’t mean limiting yourself or sacrificing performance – instead, finding just the right gear could mean finding a style of riding that is all about fun, simplicity, and a new found connection with your bike. Joe Ondrak is a singlespeed rider around Sheffield and if you want to talk frames and gear ratios he's the man.